HOW many billions of dollars would you walk away from? In 2012, my family said thanks but no thanks to Coca-Cola after the company offered to acquire a controlling interest in THP Beverage Group, the family-owned business my parents founded in 1994. Our company had been valued at $2.5 billion to $3 billion and as I sat in that glass-encased conference room at Coca-Cola's Atlanta headquarters, my head was spinning. I glanced nervously at my father, my heart beating furiously. With that glimpse, I knew why he had been so successful despite the terrible odds he and my mother had faced in the early years after the Vietnam War. His drive, determination and self-belief were etched all over his 60 years. His poker face fixed, his eyes focused and his face marked from his boxing days. He gave nothing away including, in the end, the company he and my mother had worked so hard to build in the face of crippling US sanctions, rampant inflation and an economic system that had, for so long, favoured central planning over the private sector. 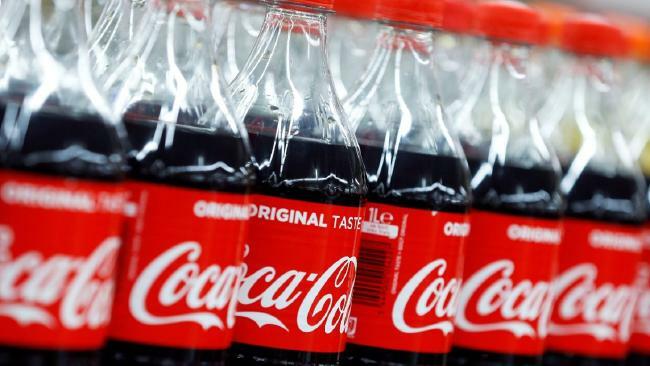 Coca-Cola was envisaging a very different future; one in which we would help them to control more than 50 per cent of the fast-expanding Vietnamese soft drinks sector. They wanted to make my father CEO of the company's Indo-China operations covering Vietnam, Laos and Cambodia. We would not only be distributing our own products, but theirs as well. The Coca-Cola team hoped it would be "love at first sip". They almost certainly did not think we would walk away from a multibillion-dollar payday, particularly since they had just spent around six months developing a 10-year business plan for our future "joint" operations. But walk is exactly what we did. In my father's case, it was without so much as a backwards glance. Strength of purpose is one of my father's defining traits. It is why he has been able to build a billion-dollar business and others have not. He taught me a valuable lesson that day and throughout the roughly year-long negotiations - know our position, understand our strength and do not be swayed by the power multinational companies wield. 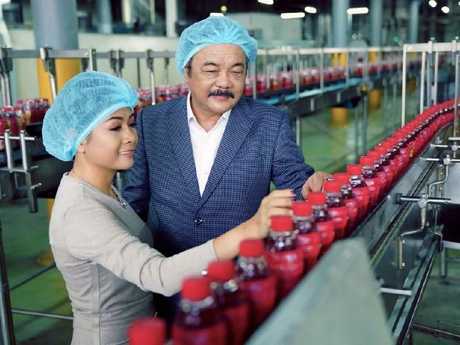 Phuong Uyen Tran and her father Qui Thanh Tran turned down billions from Coca-Cola for a controlling share in their family company. 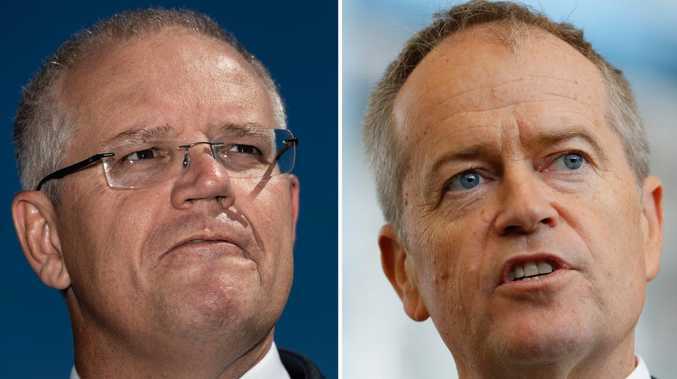 For it is not easy competing with the world's corporate giants, particularly if you come from a country that is only just starting to find its economic footing in our globalised world. Squaring up to a much bigger competitor requires nerves of steel. And as giants go, they do not get much bigger than Coca-Cola. The company not only ranks as one of the world's biggest multinationals, but also owns the fourth most recognisable brand behind Apple, Google and Microsoft according to Interbrand. Back in 2012, it sold $48 billion worth of products. There was no corner of the planet where it was not aggressively marketing its wares, including Vietnam. In the almost monopolised world of the carbonated drinks market, THP was David to their Goliath. Or were we? Multinationals exude an air of omnipotence bolstered by extensive advertising and marketing campaigns. And yet in Vietnam, we had a bigger market share in the soft drinks sector than they did at that time - 27 per cent to 12 per cent. Ms Tran said she learned a lot from her father about negotiations during the deal. We had also been profitable for many years whereas tax records showed that they had not. Peel back the surface and things are not always what they seem, despite Coke's undoubtedly huge brand value. This had been initially fostered during the Vietnam War when Coke was shipped in to sustain an increasingly weary US army. After Vietnam won the war and the US imposed sanctions, the company had to close its bottling plants in the country. However, when former US president Bill Clinton formally normalised relations again in the mid-1990s, Coca-Cola and Pepsi were right at the vanguard as corporate America came marching back, eager to tap into Vietnam's rising wealth and quench its thirst for consumer goods. "Good to see you again" was Coke's first advertising campaign upon its return, although in truth it had never really left. It had been illegally smuggled into the country from neighbouring countries throughout the diplomatic and trade embargo. Drinking Coke during those years became something of a status symbol. THP itself became a competitor to Coca-Cola in 2001 when we diversified away from beer and launched our first non-alcoholic brand: Number 1 Energy Drink. However, Coke made the same mistake that many big companies do as they peer down at a small minnow swimming into view: They did not take us seriously at all. And from their perspective they did not think they needed to. They had already run rings around the local joint venture partners the government had forced them to hook up with when they re-entered Vietnam in the 1990s. Domestic newspapers reported that they had deliberately racked up losses to build market share by selling product cheaply. Those losses made it difficult for their local partners to reinvest in the business and by the early 2000s Coke had been allowed to buy them out, in some cases for a minimal amount. So, it was hardly surprising when they assumed that a small beer producer with no soft drinks expertise would prove no match for them. Consequently, they did not forbid their distributors to sell Number 1. By the time they realised their mistake, it was too late, and the distributors had been locked into contracts with THP that they did not want to get out of anyway since Number 1 was selling very well. Ironically, one of the reasons why the product took off so quickly was thanks to my father's assiduous study of the way multinationals do business. He literally blitzed Vietnam with a huge marketing campaign ahead of Number 1's launch. It was a bold move. He had no precedent for spending such a huge sum of money. He also had limited access to capital to ramp up production if it paid off. So, when the product sold out, he needed to come up with a solution fast. He decided to source the working capital he needed to produce more bottles by getting the distributors to invest in the bottling process instead. Our fortunes became tied together. He similarly thought big when he hired Morgan Stanley to value THP towards the end of the decade. He wanted the best possible advice even though he had no experience dealing with investment banks and the fees they rack up. But his view is that you only become big if you think and act that way. It is as well to remember that all big companies started out small once upon a time. For example, Coke itself is a product born of war, in this case the American Civil War after a Confederate Colonel developed a substitute for the morphine he had become addicted to. My father also hoped Morgan Stanley would be able to help him find a strategic partner to improve THP's operational processes and build an export business. The company was becoming far too big for one person to manage and he wanted to invest in the right IT and management systems to maintain control. When Coke found out, they were quick to approach us for exclusive negotiating rights and we agreed. My father approached the ensuing negotiations with an open mind. He proposed the sale of a 10 per cent stake upfront, moving to 60 per cent after a decade. Coke said they were prepared to be flexible over the terms and he thought we might make a good fit. And what if we did not end up singing "in perfect harmony"? Well, he still thought THP would benefit far more from Coca-Cola's invaluable insights during the negotiating process than they ever would from us. And indeed, what their 10-year plan for our joint future demonstrated was the benefit of long-term planning. The level of detail they produced, extending many years into the future, was incredibly impressive. 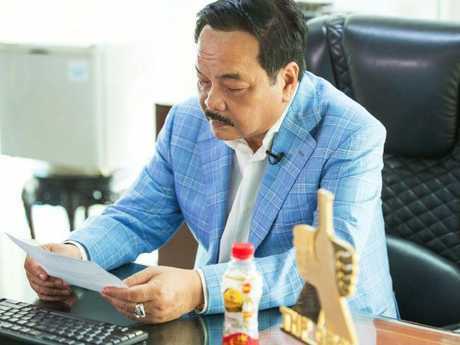 It was something that no Vietnamese company was able to do at the time and it prompted my father to spend the next decade investing heavily in IT and managerial processes to boost THP's operational controls and governance. During negotiations with Coca-Cola they hit a sticking point, and neither party could agree. We also accepted Coca-Cola's invitation to visit Mexico, which accounted for about 11 per cent of the company's global sales back in 2012. At that time, the average Mexican consumer was buying 160 litres of soft drinks per annum, compared to just below 30 litres in Vietnam. Coca-Cola wanted us to see Vietnam's potential and to share their dream. We came away more convinced than ever about Vietnam's. They also dispatched a private jet for us, flying us from New York to Atlanta for a private audience with the company's then-CEO, Muhtar Kent. It is very easy to become seduced by the luxury lifestyle private jets afford. Who would not want to avoid the crush of humanity shuffling along immigration lines, to take off and land whenever you feel like it? But my father only ever thinks of convenience, not luxury. Like a lot of entrepreneurs, money does not actually mean that much to him either. Winning and staying focused does. Similarly, he was not impressed or bowled over by Muhtar Kent. It is not that he did not like him - far from it. Rather he views all people the same whatever their profession or so-called status. I think this is key to being an effective negotiator because it means you can communicate and deliberate without fear or excitement. The Coca-Cola division chiefs prepared plenty of presentations for us while we were in Atlanta. The overriding subject was how THP would fit into their co-ordinated strategic initiatives to grab incremental market share in key emerging markets. The presentations were designed to impress. They were "the real thing", particularly the deep-dive research behind the analytics. But it soon became apparent there was a Vietnamese-sized elephant in the room. 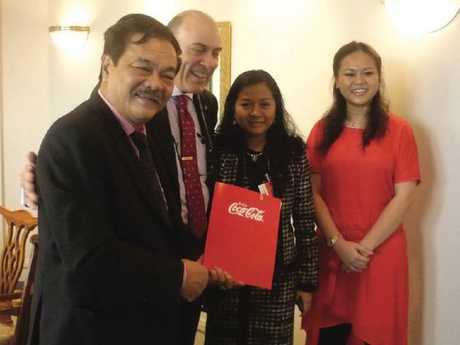 Coke was happy for us to expand our market share in Vietnam, Laos, and Cambodia. But we would have to hand over our export business to Thailand, Australia, and other parts of Asia. The terms specifically restricted THP from venturing into markets outside those three countries. The agreement also required us to give up new product development. This was in direct conflict with one of THP's core strengths: our record of product innovation achieved from our hard-won understanding of the Vietnamese consumer and the intimacy THP had built up over the years with existing customers. So, it turned out that Coke was not able to be that flexible after all. And those restrictions were a deal-breaker for us. We wanted to expand into South-East Asia and beyond with new and exciting brands. My disappointment must have been palpable for my father turned to reassure me as we left, gently moving his hand to mine. "Never show emotion; never show your hand," he whispered like the gambler he is. "Proud we stand, as we always have and always will." We carried on negotiating when we got back to Vietnam, but it was clear that we had reached an impasse and it was not long before we shook hands for a final time. We walked away from a deal and also the history books for had it gone ahead, it would have been largest ever-foreign acquisition in Vietnam's history by deal value. My father never viewed this as a setback, then or since. He also remained completely unfazed when Coke announced a $300 million plan to expand into Vietnam alone shortly after. THP had its own plan to roll out. We announced plans to build three new factories across the country and triple production volume. We would meet Coke head-to-head and maintain our market lead. And that is what we have done. Perhaps the moral of this tale is that small companies have many advantages over bigger ones; some that they are probably not even aware of. Asian companies are also growing in confidence and as we move further into the 21st century, it is now the Western multinationals that are increasingly on the back foot, particularly across Asia Pacific. People also like to talk about emotional journeys especially on reality TV shows. But in business the key to success is to generally keep emotion out of it. My father never went to sleep at night dreaming of a future in the Coca-Cola family. He never excitedly laid plans about how he would spend the billions of dollars they tried to lure us with. He only ever thought of how he would continue building the company he has devoted his life too. His world view is built on the pragmatism of the engineer he is by training. He likes to say "friends aren't always friends forever and neither are enemies". So, it was with Coca-Cola. And so, it might be again. - Phuong will be appearing in Melbourne and Sydney for Asialink Business on 2/3 Oct.